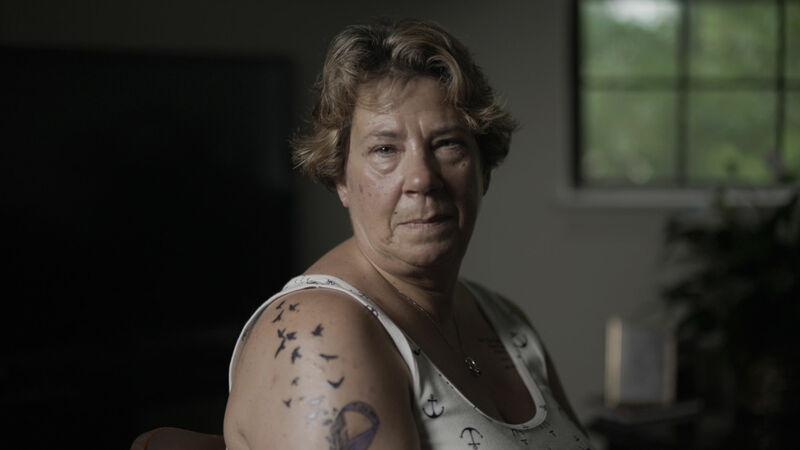 Galvanised by the death of a former classmate and the bravery of his parents’ euphemism free, forthright statement about the tragic cause, Brandon Lavoie’s documentary Hometown, explores the multi-faceted issue of addiction and those whose lives it affects. We invited Brandon back to DN (we last saw him with 9/11 first responder doc Through The Dust) to explain how telling the story of opioid abuse through the intimate lens of a small town, enabled him to bring a relatable face to America’s current opioid epidemic. Over the last few years I have watched as the people I grew up with have died due to overdoses associated with some form of opioid or another. Whether it’s heroin, fentanyl, Carfentanyl, Percocet, oxy, etc. – the sheer number of opioid-induced obituaries that have been posted to my newsfeed over the last five years has been nothing short of staggering. A pattern that I started to see in all of these obituaries was that the cause of death was always listed as “died suddenly.” How does an otherwise perfectly healthy person in their mid-twenties, “die suddenly”? In each case, the real cause of death would always make its way through the grapevine, and in almost every scenario it had to do with opioids. I am originally from a small New England town in Southern, New Hampshire. As in most suburbs, people don’t really talk about their problems. Don’t air your dirty laundry. Personal problems are stigmatized as a sort of social faux pas that one simply should not bring to the surface outside of the four walls of their home. This train of thought is especially true when it comes to things like mental health and drug use, and it is why there is such a stigma surrounding addicts, that in-turn actually prevents most of them from wanting to seek out help. But in May 2016, one of these obituaries broke the mold. A classmate of mine since 6th grade, Shane Walsh, passed away from a Fentanyl overdose. In his obituary, as opposed to stating that he “died suddenly”, his family decided to come right out and state that he, “ … passed away Tuesday morning after a long battle with the disease of addiction.” This one hit hard in many ways – one, because I had been in home rooms and worked at the local grocer with Shane, and two, because his family was brave enough, whether tacitly or with forethought, to want to highlight that he too suffered from addiction – that it wasn’t what defined him, but that it was something very important that needed to be acknowledged. I said to myself, “if there were ever a time to try and put a human face to this terrible epidemic, the time is now, and it would be through Shane’s story”. I messaged Lisa, Shane’s mother, on Facebook, and two weeks later I was interviewing her in Shane’s room. It was a very grueling endeavor whenever I wanted to shoot because physical production was all on me. I started out by going home and shooting as many interviews as I could. One-man-band style. A couple of A7S II’s (sometimes borrowed and sometimes rented), a couple tripods, one Kino Flo Diva-Lite, some c-stands, a rented boom, shotgun mic, and my old Zoom H4N. Since this began as a passion project, I was paying for everything out of pocket, so I really couldn’t afford any additional crew or fancy equipment. For example, in all of those driving shots – I was sitting in the back of my Mom’s Hyundai, as she drove, pointing my camera out the window, shooting in 60FPS hoping that the high frame rate would smooth out the bumps along the way. Of the 25-or-so actual shoot days, I had a field recordist for two of them. It was a very grueling endeavor whenever I wanted to shoot because physical production was all on me. Luckily, getting access wasn’t really an issue because I had known most of the people I was filming my whole life. Salem is my hometown. The hardest access to procure was filming with the Lawrence Police Department. Lawrence, a majority Latino community, always gets blamed for the area’s opioid epidemic. A wonderful reporter from the regional newspaper put me in contact with Detective (now Chief) Roy Vasque, and after explaining to him that I wanted to paint Lawrence in a different light, he agreed to an interview and ride-along. What quickly became apparent after beginning the project was that we would not only be telling Shane’s story. There would need to be a subsequent narrative, weaved throughout Shane’s, addressing the arc of how opioids have come to take such a powerful hold on small communities and the people in them. This subsequent narrative would include the individuals who were dealing with the crisis on a daily basis – cops, a state medical examiner, an addict being arrested and a local teacher. 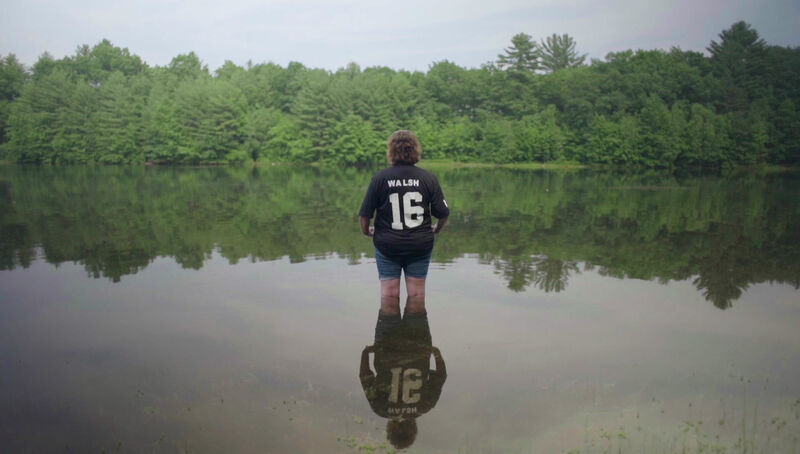 All of their vignettes are meant to provide context around the crisis, and as a result, Shane’s story bravely told by his mother and best friend, surfaces as the human face of the worst-case scenario. I think Shane’s story and the lucidity and straightforwardness with which Lisa tells it, is what ultimately makes the whole thing work. I felt a huge sense of excitement going into post-production. We had raised roughly 15k through both an Indiegogo and private donations that we’d be able to allocate towards finishing the film properly. Brady Darragh, the film’s editor and co-producer, has such an IQ for story and arc. As a director, specifically in documentary, it is hard to describe how important and necessary it is to have complete confidence in your editor – and for your editor to have confidence in themselves. Brady’s ability to find nuance in a narrative is what I believe sets him apart, and as opposed to being worried heading into post-production, I was somewhat relieved. Brady chose to edit this project in Premiere, though I think he definitely prefers Avid for longer-form edits. It is hard to describe how important and necessary it is to have complete confidence in your editor. I was looking for another reason to collaborate with my good friend and gifted animator Casey Drogin again and had spoken to him about possibly working on the project back in summer 2016, so Brady and I met up with him for dinner. We were in a bit of a rush to meet some festival deadlines, so Casey brought on another insanely talented animator, Morgan Gruer to assist. 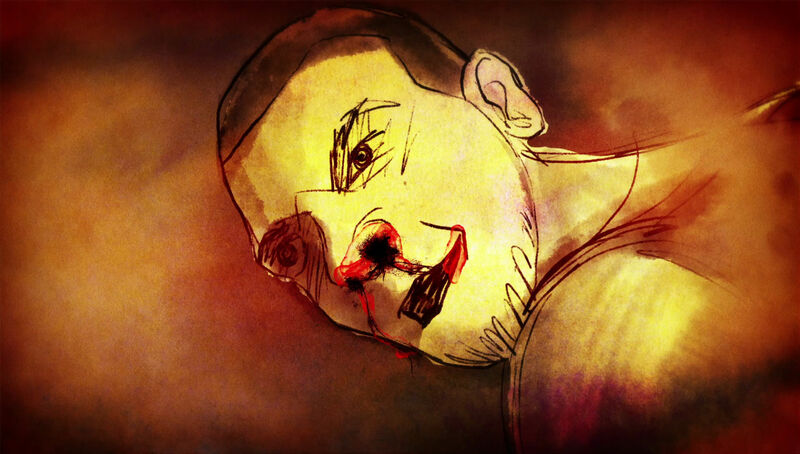 Casey developed the water-color style animations with hand-drawn line work, and together the two of them beautifully depicted scenes from Shane’s life that would have otherwise been very difficult to watch. They truly brought Shane to life in a way home footage couldn’t have. 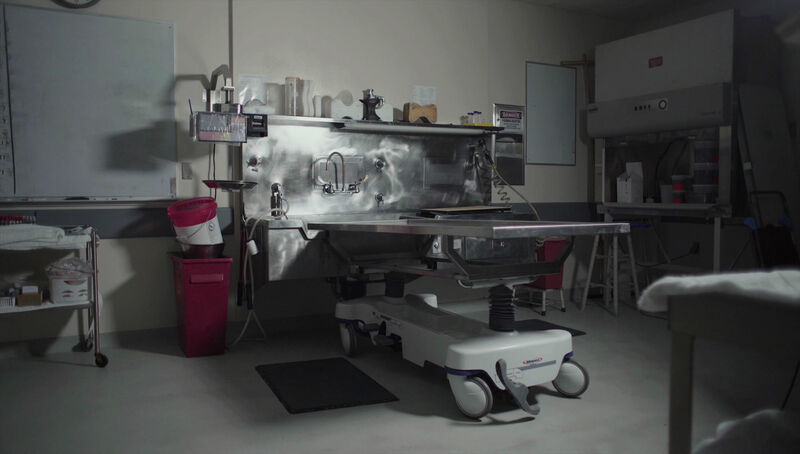 That’s kind of a crazy concept – bringing a deceased character back to life through animation. I think they knocked it out of the park. We were lucky enough to have the crazy talented folks over at One Thousand Birds do our sound design and mix. Sound is always something I am picky about, specifically in documentary where diegetics are so important and in animation where the sound design is equally as important as the visuals. Fernando Martinez and Ed Marks blew me away with their original score. And Matthew Greenberg over at Irving Harvey brought out the color in our characters’ world. From initial concept to release, the film took almost two years. Being a passion project, there were periods of time where we had to press pause, make some money freelancing, and then pick it back up again. I’d say that making Hometown has been the most immersive and important experience of my career, thus far, as a filmmaker. At 26, I feel fortunate to have worked with so many amazing collaborators to create something that I hope will only serve to help people see this epidemic, and those suffering from it, in a different light. If the film helps just one person, it will have all been worth it.